"Its simplicity, user-friendliness and ability to provide a straight-forward interface to the Internet excited me to say the least. I could immediately see how this tool could provide a `bridge' to the Internet which does not currently exist." 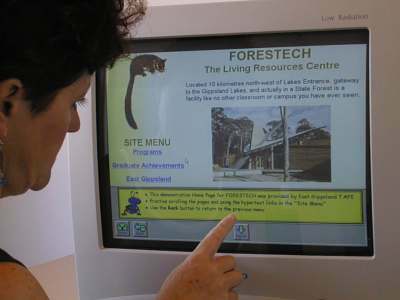 "The EIA system is a fantastic Victorian system allowing people with disabilities and special needs to gain access to all the wonderful possibilities of the Internet in a way that takes account of their special needs." "This is very encouraging for therapists such as myself who see a wide range of people with disabilities who should be able to access the Internet for reasons such as recreation, education, information and socialization but who are unable to do so." "Our interest is in the potential that the simplified browser has for students who have low literacy skills and for students for whom English is a second language."